Due to the nature of chimneys – much of their build being hidden – faults can sometimes go undetected for years. Cracks can develop in the chimney’s inner lining leading to smoke escaping into a property causing untold damage. Old chimney brickwork that’s been neglected can also lead to leaks if left unattended. To avoid these small issues turning into big problems, Irish Chimney Specialists provides a comprehensive chimney inspection service that checks both the interior and exterior of a chimney. On the interior of a property, our team go into the attic to make sure that there are no faults in a chimney. Necessary steps are taken to repair any faults that are found. Our dedicated inspection team also goes to a roof to inspect the brickwork of the chimney’s stack, ensuring that there are no issues developing. Thorough inspections – like those carried out by Irish Chimney Specialists – can help reduce the risk of chimney fires and major problems developing. 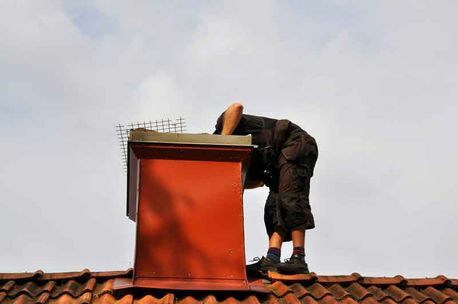 Do you want the peace of mind of knowing that your chimney has been properly inspected? Then get in contact with Irish Chimney Specialists today. One of the most common issues with chimneys – especially clay lined chimneys – is cracks developing in the inner lining. Irish Chimney Specialists can offer customers a thorough camera inspection. This state of the art system involves the lowering of a camera into a chimney allowing our operating team to see any potential problems. If problems are detected, Irish Chimney Specialists can advise customers on the necessary steps that need to be taken to fix the chimney. Regular camera inspections are the best way to make sure your chimney’s inner lining is free of cracks and excessive soot build-up. Do you need to get the inner lining of your chimney checked? Then get in contact with Irish Chimney Specialists today.